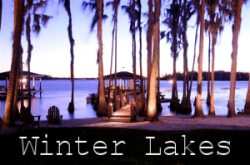 The town of Winter Lakes, Florida has a secret. Can a group of teenagers figure it out before they suffer a tragic fate? Decades after a group of teenage friends mysteriously died within a year of each other in the town of Winter Lakes, newly orphaned teenager, Sean Castaic, moves into town and sets off a chain of events to cause it to happen all over again. Can he and his new friends unlock the secrets of Winter Lakes before they suffer the same fate?